In recent years there has been much debate surrounding the future of the welfare state in Europe, the complex factors influencing reform, and the extent to which responses to pressures on welfare could lead to irreversible systemic changes in social policy. 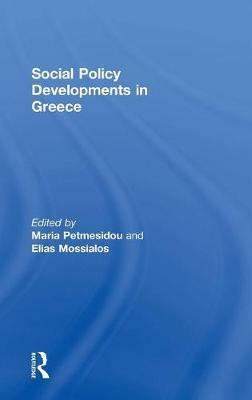 By providing an in-depth analysis of social policy developments in Greece, this work furthers understanding of welfare reform trajectories in Europe. The authors thoroughly examine aspects of structural change, challenges and responses in major policy areas of employment, social security, family and gender, health and social care, and migration. Research issues central to the debate on 'recasting European welfare states', such as structural adjustments with regard to the production, organization and delivery of welfare, significant changes in the financial side of social protection, the role of political parties, the social partners and other major social actors in influencing (or resisting) policy reform, are at the forefront of the contributions to this volume. The scope and intensity of pressures on the Greek welfare state emanating from the supranational level and the challenges linked to European integration and economic and monetary union are also of crucial importance in the analyses undertaken.